As white supremacists prepare to march through D.C. this weekend, on the first anniversary of last year’s violent rally in Charlottesville, an Arlington college student hopes to match every step they take through the city by raising money to push back on hate. 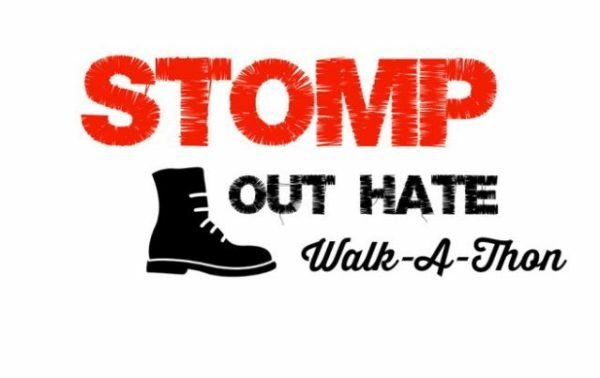 Allison Herrity, a Washington-Lee graduate and a rising junior at George Washington University, kicked off the “Stomp Out Hate Walk-A-Thon” ahead of the “Unite the Right 2” rally coming to the city Saturday (Aug. 11). While the white nationalists participating in the event, led by many of the organizers of the deadly demonstration in Charlottesville, may very well be outnumbered by counter-protesters, Herrity and fellow GW student Kendall Keelen say they wanted to find some way for people across the region to show their opposition to “Unite the Right” without actually heading into D.C. this weekend. “We see this as a way for individuals who are unable to protest physically for a variety of reasons to make it clear that the actions of these white nationalists are not okay, and will not be accepted here or anywhere,” Herrity told ARLnow via email. Herrity, who grew up in Ashton Heights and still lives in Arlington, says the proceeds of the fundraiser will go to the Southern Poverty Law Center, a legal advocacy organization dedicated to monitoring hate groups across the country. Herrity and Keelen will accept donations of any size, but the online fundraising site they’ve set up gives people the option to donate “per step” that the rally-goers take through D.C. They estimate that the group will take roughly 1,700 steps if all goes according to plan and they march from the Foggy Bottom Metro station to Lafayette Park. Herrity said she was inspired by people in the German town of Wunsiedel, who similarly donated money to an anti-extremist organization for every meter neo-Nazi demonstrators marched through the town. So far, the pair have managed to raise just under $1,000, and they’ve set a $5,000 goal for the effort.